Included Herbal Powders used for cosmetics. 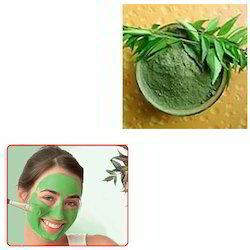 A standard powder material, namely Neem Powder for Face Pack is offered by us to our patrons. The entire range of powder is offered by us at market leading prices and that too in different quantity packaging. We make use of advanced processing techniques and machines while formulating these products. Looking for Cosmetic Herbal Powder ?